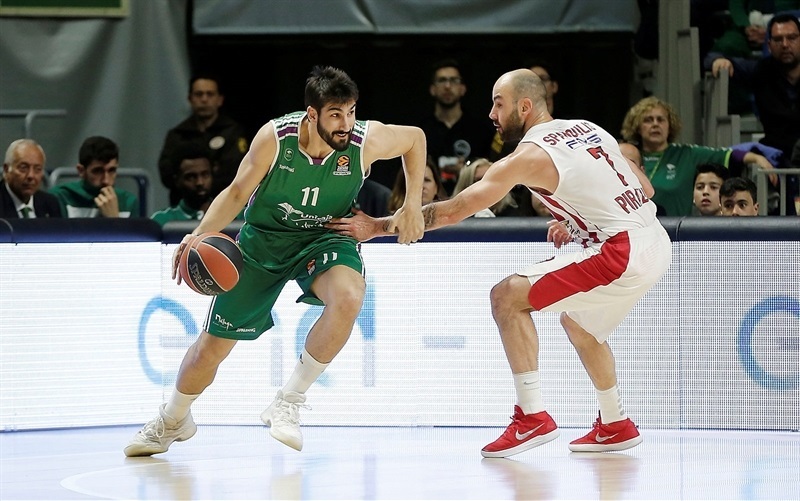 In an overtime thriller that went down to the final shot, Unicaja Malaga grabbed its 12th win in the Turkish Airlines EuroLeague season by downing Olympiacos Pireaus 87-85 at home on Friday. 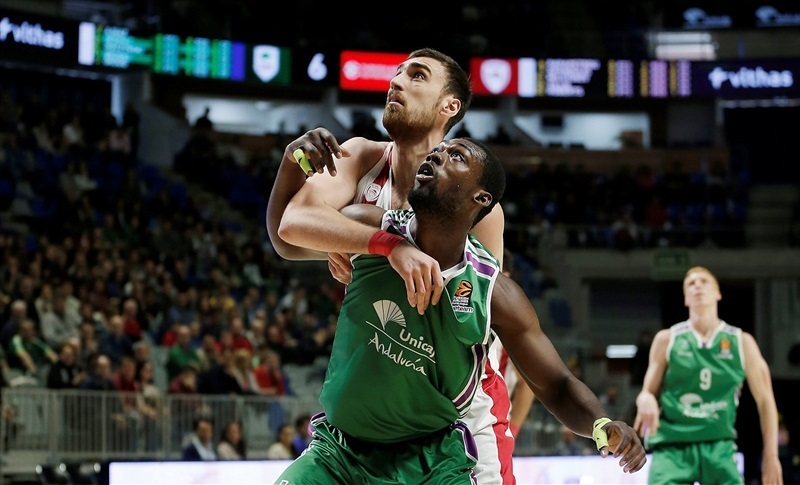 Unicaja improved to 12-17 in the standings and pleased its fans in its last home game. 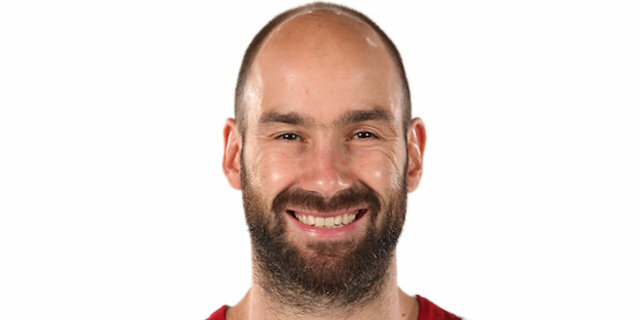 Olympiacos dropped to 19-10 on a special night for superstar guard Vassilis Spanoulis, who climbed to the top spot in the EuroLeague's all-time assists board. 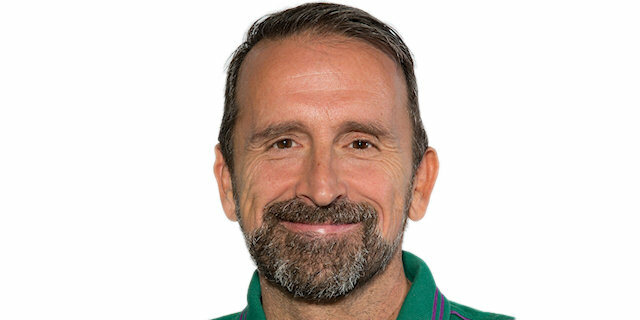 James Augustine became Unicaja's hero by hitting the game-winning shot with 2.5 seconds left in overtime. Nemanja Nedovic led the winners with 17 points. Ray McCallum added 13, Augustine had 12 while Adam Waczynski got 10 for Unicaja. Spanoulis led Olympiacos with 15 points and eight assists to total 1,260 overall, going past previous leader Dimitris Diamantidis (1,255). Vangelis Mantzaris and Ioannis Papapetrou each added 11 while Janis Strelnieks and Nikola Milutinov got 10 apiece for the guests. 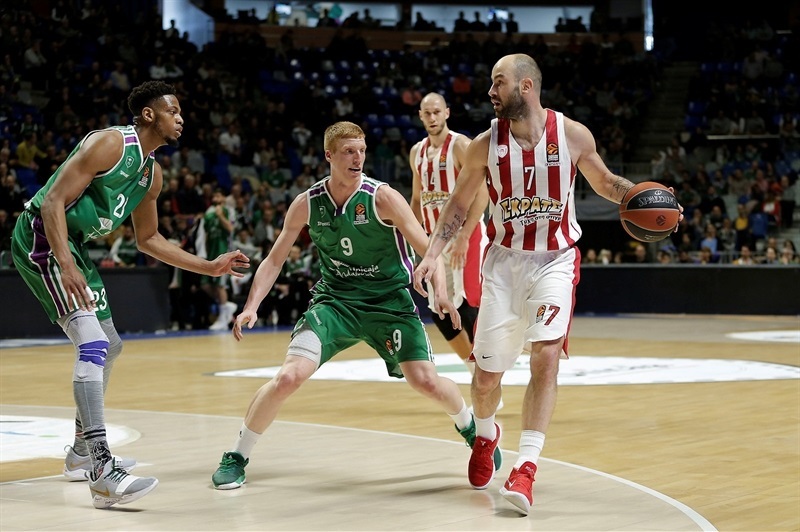 Spanoulis shined early to give Olympiacos a 6-11 lead but Nedovic stepped up to singlehandedly restore a 14-13 Unicaja edge. Spanoulis got help from Papapetrou and Mantzaris to make Olympiacos regain the lead, 19-22, after 10 minutes. Augustine and Dani Diez stepped up for Unicaja early in the second quarter. They got help from McCallum and Jeff Brooks to give Unicaja a 14-point margin, 47-33, at halftime. Spanoulis, Mantzaris and Jamel McLean fueled a 0-17 run which allowed Olympiacos to take the lead, 54-56, after 30 minutes. Olympiacos led for the best part of the fourth quarter but Nedovic stepped up in crunch time to send the game to overtime, 74-74. Olympiacos led 82-85 in the final minute but Waczynski buried a triple and Augustine added the game-winning shot 2.5 seconds before the final buzzer. 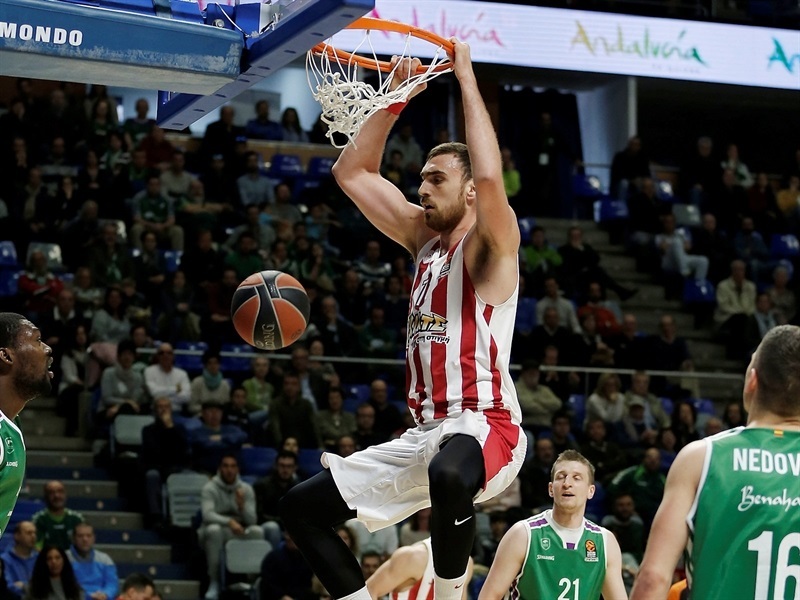 Brooks got Unicaja going with a jumper and a put-back layup but a three-pointer by Spanoulis and a dunk by Milutinov gave Olympiacos a 4-5 lead. Waczynski scored down low but Spanoulis and Brian Roberts fueled a 6-0 run that Papapetrou capped with a layup for a 6-11 Olympiacos edge. Nedovic struck twice from downtown and added a driving layup to make Unicaja regain the lead, 14-13. Kim Tillie, Papapetrou and Spanoulis each had a layup in a 0-6 run. Sasu Salin and Mantzaris - on Spanoulis's 1,256th assist, an all-time record - traded three-pointers and a buzzer-beating jumper by Carlos Suarez fixed the score at 19-22 after 10 minutes. McCallum scored around the basket early in the second quarter, then Salin and Augustine fueled an 8-0 run which Diez capped with a layup for a 29-24 Unicaja lead. Strelnieks hit a triple and McLean added consecutive put-back layups but Diez and Augustine kept pacing Unicaja and a close basket by Viny Okouo made Olympiacos call timeout at 37-31. Brooks dunked, McCallum added a jumper and free throws by Salin made it a double-digit game, 44-33. A wild three-pointer by McCallum fixed the halftime score at 47-33. Augustine dunked again after the break but Milutinov and Spanoulis soon brought Olympiacos within 49-39, after a 0-6 run. 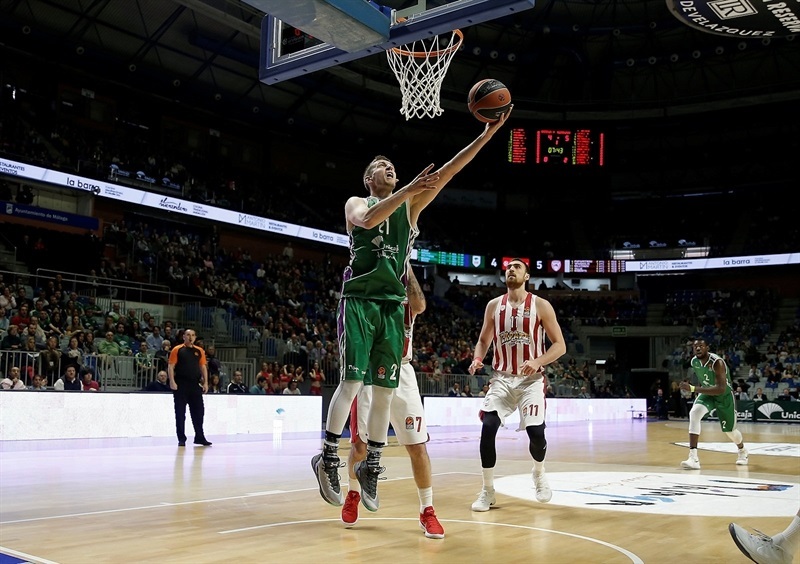 Diez stepped up with a tip-in but Unicaja went scoreless from more than six minutes. 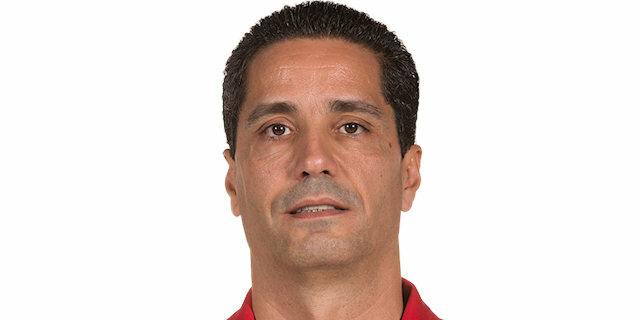 Meanwhile, three-pointers by Papapetrou and Mantzaris sparked a game-changing 0-17 run in which Spanoulis had five points and McLean dunked for a 51-56 Olympiacos lead. Free throws by Okouo and Dragan Milosavljevic kept Unicaja within 54-56 after 30 minutes. Strelnieks followed a floater with a triple early in the fourth quarter but Milosavljevic and Suarez kept Unicaja within 59-61. Bobby Brown hit a floater and three-pointers by Roberts and Kyle Wiltjer gave the guests fresh air at 63-69. McLean took over with a high-flying tip-in and Roberts downed a corner triple but Nedovic and Waczynski got Unicaja even closer, 70-74. Nedovic hit free throws and scored off a steal to tie the game, 74-74, with 1:16 left. 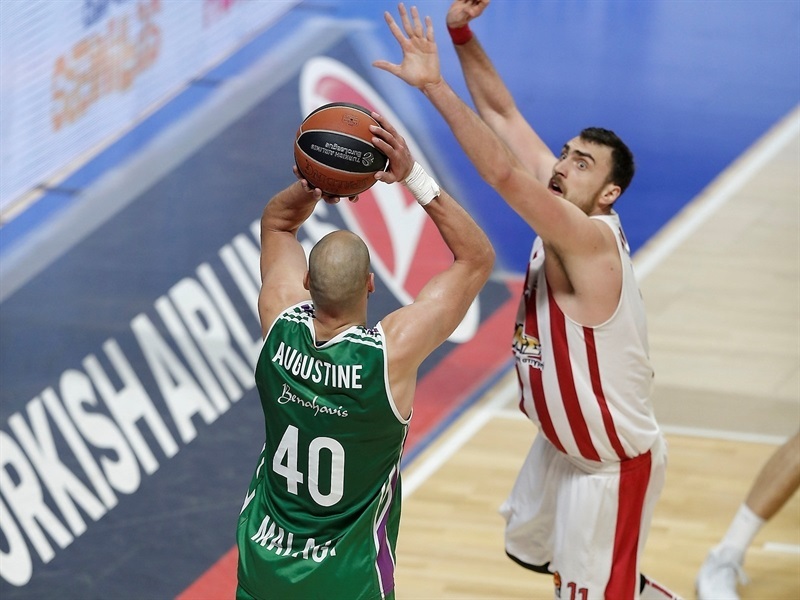 It all went down to the final shot of regulation, in which Spanoulis missed from downtown. Mantzaris opened the extra period with a three-pointer and Kim Tillie bettered Nedovic's layup with a bomb from downtown, good for a 76-80 Olympiacos lead. Alberto Diaz joined the three-point shootout but free throws by Milutinov restored a 79-82 Olympiacos edge with two minutes left. Waczynski tied the game with a big triple but Papapetrou answered from downtown for a 82-85 score with 43.7 seconds remaining. 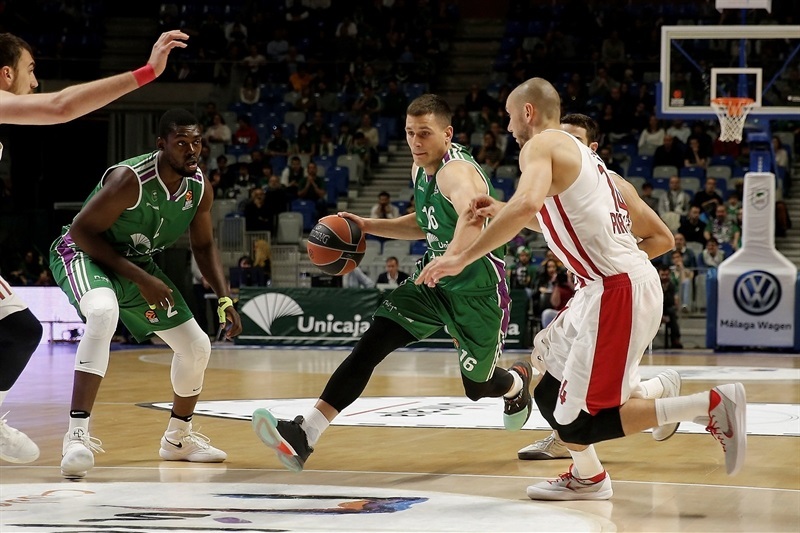 Waczynski nailed another three-pointer, Papapetrou missed around the basket and a jumper by Augustine allowed Unicaja to win the game, as Strelnieks missed from way downtown at the buzzer. Both teams play their final regular season game next week - Unicaja visits Fenerbahce Dogus Istanbul on Thursday and Olympiacos hosts Zalgiris Kaunas on Friday. "Obviously, we are happy to beat a team that is already in the EuroLeague playoffs and which will probably make it to the Final Four. The game is more or less a recap of what we did in this EuroLeague, pending our last game against Fenerbahce, against whom we played our first game six or seven months ago. Tonight's game reflects what our season was like, in which we competed with great dignity other than in three games. I think the team competed really well throughout the EuroLeague, in wins and losses. The team didn't give up when it was easy to do so, gaining strength out of nowhere against a strong, physical team like Olympiacos, which didn't allow us to grab defensive rebounds. It is a good sign of identity and I think everybody should be very proud, even if the game had gone to second overtime and we had lost by a narrow margin. It doesn't matter - competing against a team like Olympiacos and beating them speaks well about the team and the people in the club." "We competed every single game except three games in which we did horrible. We have been competitive in every other game, whether we won or lost. We were able to forget about the players who were not on the bench today, the injured players, and just tried to give our best and never give up, never surrender, always look forward, trying to find the way to improve. And of course, we wanted to win this kind of close game which we lost against Zalgiris, Baskonia and others. I think we need to be proud of our team and our players." "I think that we lost a good chance to win the game because of the way we played in the second half. In the end, we didn't show good concentration. We turned the ball over three times in the last two and a half minutes. Unicaja scored easy points, came back to the game and won in overtime. Congratulations to Unicaja." "I think it was a good win. We wanted to say 'bye' to our EuroLeague fans for this season with a win at home - and we did it. We didn't play the greatest game but after all those losses by one and two points, I think it was time that we win one game in the last second." "It is something nice (the assists record) but it is better when you win the game. But for sure, it is something special - I want to thank my coaches, my teammates, everybody who took part in this thing. Creating for your teammates is always something special for me because basketball is a team sport, this is a team game, and this makes me very happy. I always look to get my teammates involved."